Tyler Marion, B.S., M.B.A., Kevin Cao, B.S., Jorge Roman, M.D. Keywords: Chlorotrichosis; Pseudochromhidrosis; Copper toxicity; Green hair; Mercury, Contact dermatitis; Perioral erythema; Erethism; Joker. Notoriously known as Batman’s ultimate adversary, the Joker is considered as one of the most iconic villains in comic book history. He is easily recognized by his trademark green hair, bleached white skin, and cherry red lips; as well as his cynical smile. These traits have remained consistent through the many adaptations and portrayals of the character. 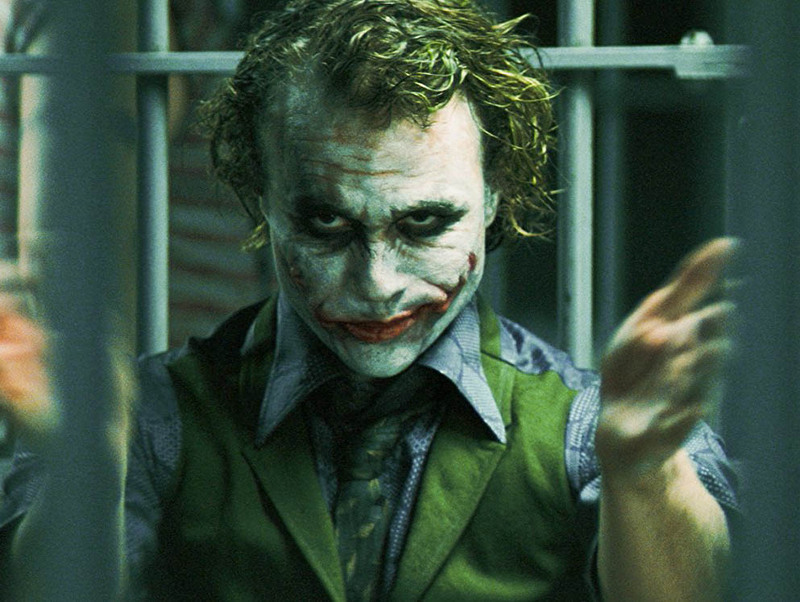 Appearing in several films including the Batman (1989), The Dark Knight (2008), and Suicide Squad (2016), the villain’s famous features have a fascinating origin ripe for speculation. The most cited origin story for the Joker is The Killing Joke by Alan Moore. The man who would become the Joker started off as a lab assistant. After quitting his job, he pursues a career as a stand-up comedian to support his then pregnant wife. Unsuccessful in his comedy career, he is approached by mobsters to assist with a heist. The robbery goes amiss when the plant’s security spots the intruders and the Batman arrives. In a desperate attempt to escape, the comedian jumps off a catwalk into a chemical vat. He emerges from the chemical container disfigured. Thereafter he goes insane and begins his siege as the Joker. Herein we propose potential substances contained within the chemical vat that could explain the Joker’s famous appearance. The Joker’s chlorotrichosis is reasonably explained by the presence of copper within the vat, either as a part of the structure of the container itself or within the solution. There have been several case reports describing chlorotrichosis after exposure to swimming pool water.1 The addition of copper containing algaecides to pools or leakage of copper from plumbing systems, particularly in individuals with light colored hair results in copper absorption by hair that is then oxidized to produce a characteristic greenish hue.2 If the Joker ever saw an ophthalmologist in Gotham, the doctor might find Kayser–Fleischer rings, implicating copper toxicity causing his psychiatric disturbances. While the quickness of the process isn’t exactly realistic, there are several different possibilities to rationalize bleaching of his skin. Aside from hydroquinone, resorcinol, or monobenzone, we would like to incriminate mercury in this particular case due to the initiation of the Joker’s insanity. Erethism, more commonly known as the mad hatter disease, could account for several facets of the character’s personality including psychosis, excitability, and emotional disturbances. As for the Joker’s cherry red lips, it would be difficult to relate them to a vasculitis such as Kawasaki’s disease or carbon monoxide poisoning. However, there has been a case reported of red pseudochromhidrosis after irritant contact dermatitis of the lip.3 In our case, irritant contact dermatitis could well account for perioral and lip erythema, although the distribution would be difficult to explain. Mascaró JM, Ferrando J, Fontarnau R, Torras H, Domínguez A. Green hair. 1995;56(1):37-40. Grosvenor AJ, Marsh J, Thomas A, et al. Oxidative Modification in Human Hair: The Effect of the Levels of Cu (II) Ions, UV Exposure and Hair Pigmentation. Photochemistry and Photobiology. 2015;92(1):144-149. doi:10.1111/php.12537. Koley S, Mandal R. Red and black pseudochromhidrosis. Indian Journal of Dermatology. 2016;61(4):454. doi:10.4103/0019-5154.185733. Kevin Cao is also a medical student at The University of Texas Medical Branch. He hails from Houston, Texas. He has a strong interest in the humanities aspect of medicine and aims to work in an academic setting. Jorge Roman is a resident who graduated from The University of Texas Medical Branch in 2017. When he is not playing with his three adorable cats or spending time with his fiancé, he enjoys writing. He will be at NYU for a dermatology residency starting in July 2018. This entry was posted in Jorge Roman, Kevin Cao, Tyler Marion and tagged chlorotrichosis, contact dermatitis, copper toxicit, erethism; Joker., green hair. mercury, perioral erythema, pseudochromhidrosis by humanemedicine. Bookmark the permalink.